"Welcome, welcome Englishmen! Do you have any beer?" 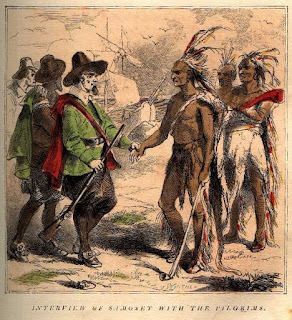 Sub-Chief Samoset of the Abenaki tribe is supposed to have exclaimed in greeting to the Pilgrim fathers.